The Federal Motor Carrier Safety Administration (FMCSA) tells us that each year, thousands of large truck accidents occur in the U.S. In many cases, the accidents lead to serious injuries and even fatalities. Would you know what to do if you were involved in a large truck accident? We’ll talk about it in this issue. The National Highway Traffic Safety Administration (NHTSA) defines a large truck as any truck with a gross vehicle weight rating more than 10,000 pounds. This does not include motor homes or buses. 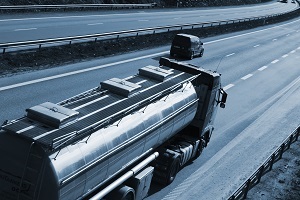 What are common injuries from large truck accidents? What should I do if I’m in a large truck accident? Of course, these steps should be taken only if you’re able. Call 911 immediately so that emergency responders are alerted. Do not move anyone who has been injured unless you’ve been properly trained. If your vehicle can be moved, make sure it can be moved out of the way of traffic. Once authorities are on the scene, provide them with a factual account of what happened. Obtain contact information from each driver involved in the accident (including info on the truck, its size and its cargo). Get in touch with an attorney specializing in large truck accidents. If you’re involved in a large truck accident in Alaska, call Barber & Associates.